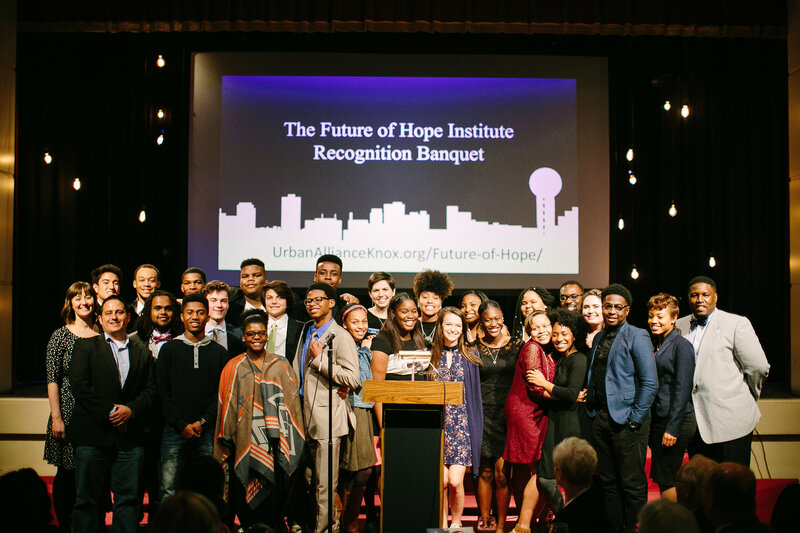 KNOXVILLE — The Future of Hope Institute celebrated their opening year and first class of 20 young scholars who experienced training focused on impacting their local environment by cultivating justice this Thursday evening. Director of the Future of Hope Institute, Dametraus Jaggers began the banquet by explaining what brought his vision to life and made FOH possible. “The Future of Hope institute provides high school students with the opportunity to engage their city by inspiring them to think theologically about the challenges of living in a contemporary urban context,” he said. “With a $600,000 grant from the Lily Endowment and a significant investment from Johnson University the Future of Hope Institute became a reality.